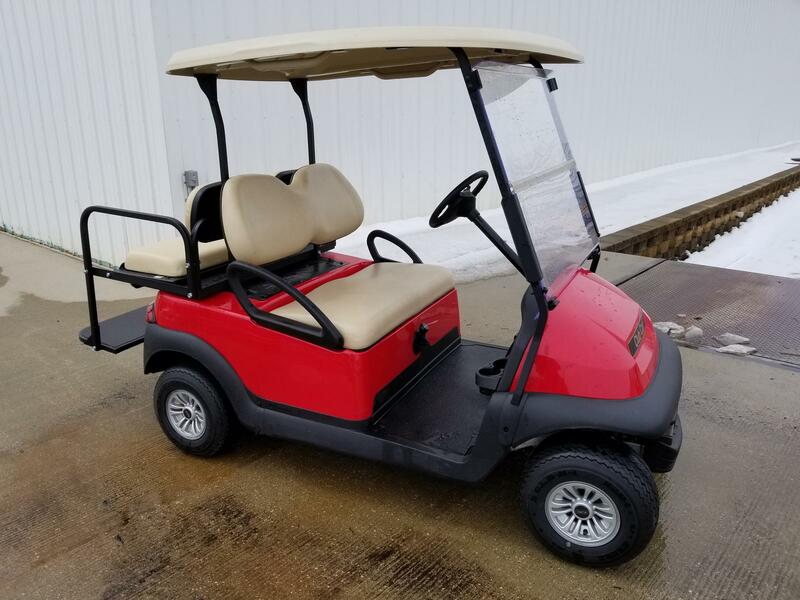 The Club Car Precedent i2 set the standard for styling and performance as the most advanced golf car ever built, boasting a long-running success that has earned industry accolades and inspired industry-wide imitation. From its 360° wrap-around bumper to its ergonomic seats, the Club Car Precedent i2 provides safety, comfort and stability on the course and off. Every detail was created with the golfer in mind – from the Monsoon Top that channels water away from passengers to a spacious bagwell and a redesigned interior with more storage space for personal items. Now Powered by Best-in-Class EFI Engine: Boosts Power. Improves Reliability. Cuts Maintenance Costs. Whether you use your Precedent golf car for golf, neighborhood transportation, hunting, camping or anything else, you’ll want it to have the acceleration, hill-climbing ability and overall power you need. That requires a powerful engine with electronic fuel injection (EFI), something you won’t find in many golf cars. Monsoon Top™ Canopy: Occupants will stay dry and comfortable in the heaviest downpour with the Monsoon Top™ canopy, now standard on the Club Car Precedent i2. The canopy’s increased dimensions, combined with a unique built-in drainage system, flow more than three gallons of water per minute, or 14 inches of rain per hour. AlumiCore™ Frame: An Aluminum Frame for Longer Life. Most golf cars are still built on steel frames, which can corrode. Club Car golf cars are built on our AlumiCore™ frame. This light frame is rustproof even in salt air, and it’s shaped to be more impact resistant than steel. It preserves the life of your car and enhances its stability, ride and performance.